Life as we know it ...: Moving right along . 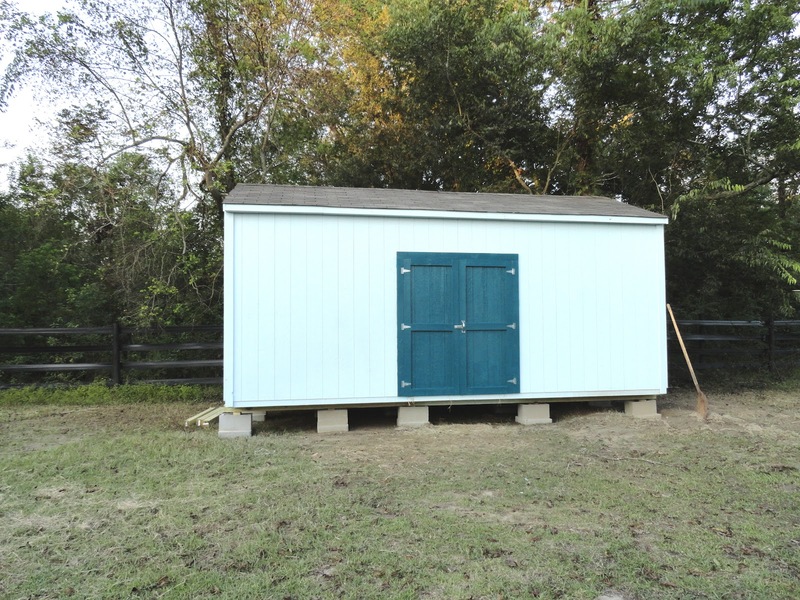 . .
Got home today and David had painted the entire hay shed door the dark teal color. 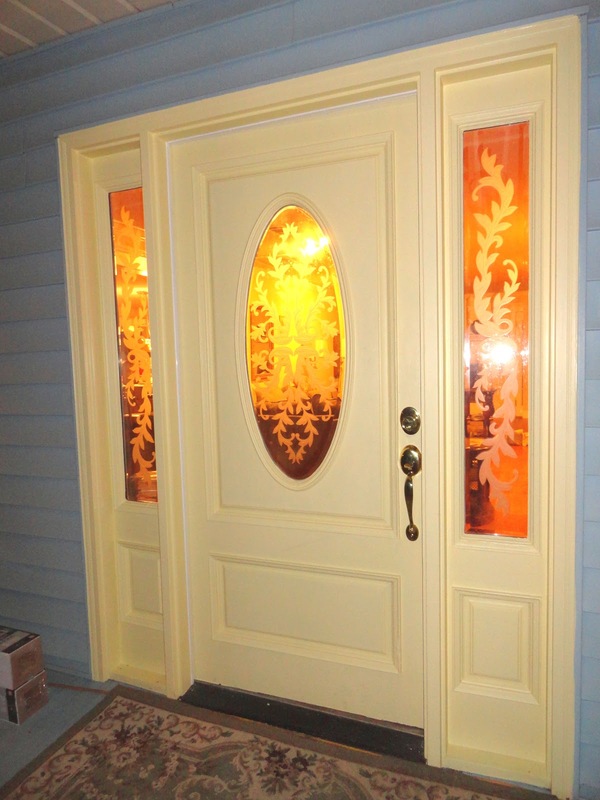 It looks pretty good, but I THOUGHT he was only going to paint the trim boards, not the whole thing. Oh well. It's a storage shed, right? Guess it doesn't matter. And it was probably a lot faster to do it that way. He also painted the frame around the barn's front door. That looks really good, I think. I decided to leave the windows alone. He had two new porch posts laying on the front porch tonight, so he's apparently about ready to replace that post that was rotted. Not sure what the second one is for, though. Mark absolutely insisted that the porch posts remain beige, so I guess I'm not going to get to paint them that dark teal, darn it. Oh, well. I DO get to have the front door repainted anyway. Looking at it earlier, I was thinking I COULD get it painted the same medium teal as the shutters then paint those trim lines on there the dark teal. Would that look too tacky?? Hmm. Maybe so. 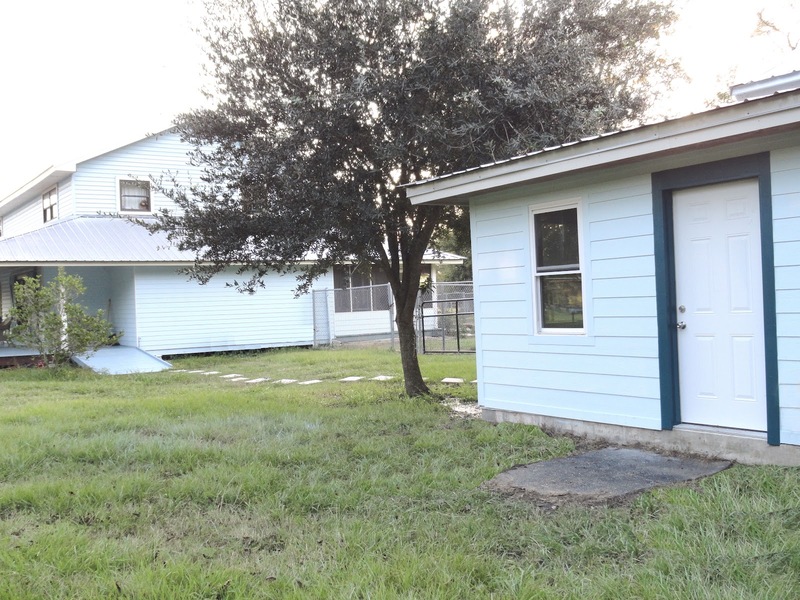 Or maybe it would look better to paint everything the same medium color as the shutters, then paint just that flat board that runs around the very outside edge and down between the door and the sidelights the dark color -- kind of the same sort of trim as the barn front door. Hmmm. I think I'll ask David how much trouble it would be to do that. When I feed the horses in the morning, I fill everyone's hay containers all the way up to the top. 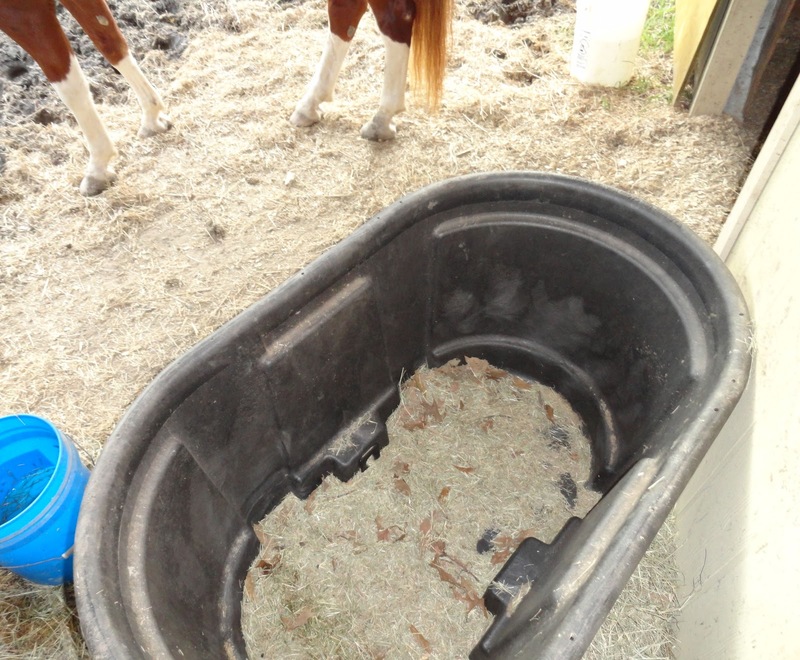 When I get home and go out to feed them, every last one of those hay containers are completely empty! What the heck??? Normally when I let them out to graze they don't bother eating their hay at all! But not anymore . . . 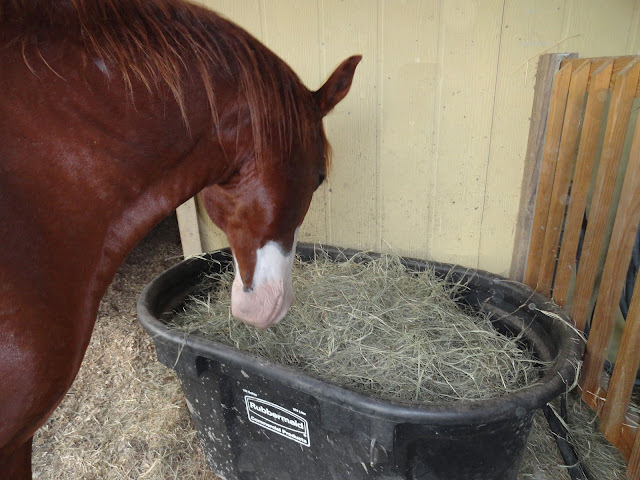 Here's Duke scarfing down his hay a few minutes after I filled it up completely. And here's how it looks when I get home at night! Gees! Hope we don't end up having to order still MORE of that stuff! I wonder if it's safe to let them eat so much hay. I think I'll see what Jan thinks about that. Well, time for the news, then back to bed. Exactly one week from tomorrow morning Mark will be back home. Yeaaaa!